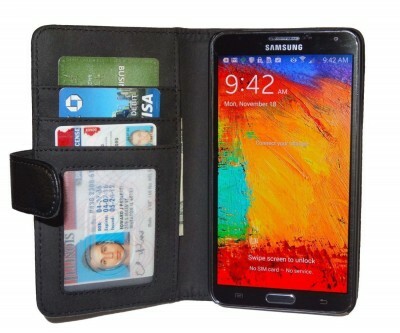 Our note 3 leather wallet case is durable, versatile, and stylish. 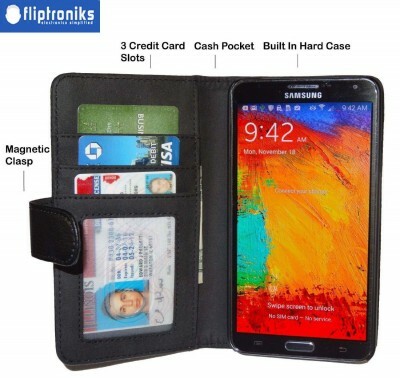 It is made with top quality leather and will give your galaxy note 3 full protection. This case will keep your device in perfect condition. It helps guard against drops, bumps, scratches, smears, dust and dirt. On the inside of the cover there are slots to hold your IDs, credit cards, debit cards, business cards and money. The magnetic flap closure ensures the case stays closed when not in use. There is a built-in holder to keep your device in place. It is precisely engineered to fit your new Samsung Galaxy Note 3 perfectly, without adding bulk. You have full access to all of the Samsung Galaxy Note 3 ports and features with the case on. This is the perfect case for those who want elegance and functionality along with superb protection.